If you’ve been too busy partying to watch the news, there’s an election coming – so we need to make our voices heard. And perhaps one of the loudest in British music is that of synth-metal pioneers Enter Shikari frontman Rou Reynolds. Standing at the front of their scene with the likes of Hacktivist and Crossfaith in tow, the subversive political nature of the previous three LPs has since expanded and swelled into an all-encompassing theme. Taking aim at the state of the NHS in Anaesthetist, bankers in The Bank Of England (complete with Occupy Movement-esque lyrics ‘They blew up the Bank Of England, the paper burned for days’) and the class system in There’s A Price On Your Head, there’s much more to this than shouting at The Man. But as it’s Shikari, shouting is involved, along with frenetic synth smashing, stabby guitars, wobble bass and all the noises a Kaoss Pad can muster. 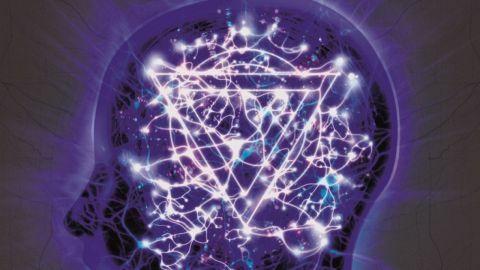 There are a few dud moments but it’s a necessary step forward in the Shikari journey that sets them apart and with a message as vital as theirs, it needs to be heard.